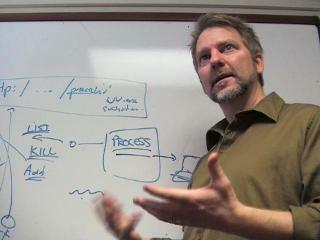 Technical Strategist Steve Marx sits down with us to discuss what Windows Azure means for developers. The basic idea is to make it really simple for developers to deploy web applications and services without having to worry about scaling, management. So, Windows Azure is an operating system in the sense that it abstracts away the infrastructure details of the cloud "machine". 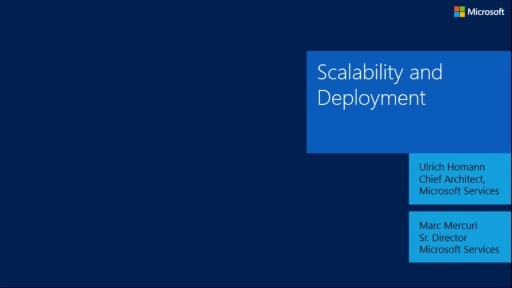 Steve takes us through the process of deploying web applications and services without having to worry about scaling or management using cloud computing in Windows Azure. It makes the programmable web a reality. let's start to get developer to write more and more reusable components on it. I'm not sure I like the idea of having Microsoft host all of my "cloud" apps with Azure. 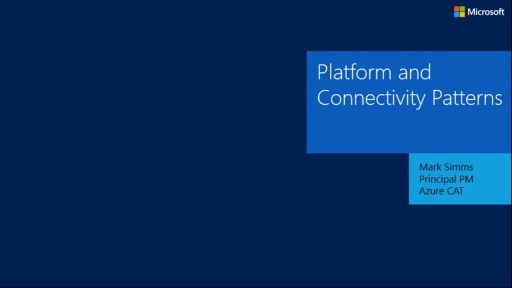 Will I be able to host my own instance of the Azure platform in my own data center, if I want?? Not sure if you understand the idea of Azure but what is the point of having the cloud in your data center? You can deploy win2008 with whatever you need if you want OS in data center. AFAICT, if you need your service hosted inside your own lan, you can use .Net services and leverage some of the other stuff like auth, but keep your code local. So you can pick and choose what you need. Thanks Charles and Steve. Really cool stuff. As it happens, I am looking for hosting for my take on a *witter service with an Astoria backend and a smart client (and SL client in the works after I get better VS-SL support..hint Any chance a fellow 9'er with a new social service can get a "token" for the Azur ctp so I can host it? why not linking his blog using the azure tech he mentions at the end of his speech? the editors and posters of channel9 are really lazy basterdz. i kid you not. What do I need to smoke to understand "coolness of cloud"?... No, really. So why the "barrier" of requiring Vista and Win 2008 Srv just to get going with the SDK (including the tools for VS2008!)? Can't understand why a "platform independent" solution has this barrier...on the dev side at that? The reason why the current CTP doesn't support XP as a dev environment as well as a workaround to get some partial functionality (development storage but not development fabric) working on XP were discussed in this MSDN forum thread. I understand that Azure and Microsoft Server 2008 are complementary technologies. Are there plans to help port code for Windows server 2008 to Azure and vice versa. What will be the issues here and what are the limitations as per current implementation of azure. 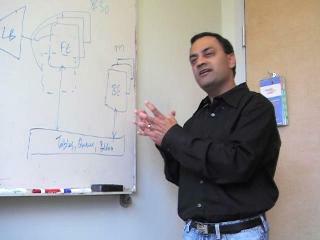 The idea being that initially a small company might start out with Azure and rely on its scalability solutions. Eventually the company might want to move to self hosted servers using Windows Server 2008. In that case, developers would prefer the transition to be as easy and bug free as possible. Are such scenarios being considered? What about providing solutions so that users have a inhouse azure environment e.g. My company decides that we need to maintain the data on our own local servers, then all I need to do is go buy say 20 servers, and then use a framework to create a mini azure environment inhouse. There will be maybe 2 fabric controllers which keep in sync and ensure that there is no single point of failure and beyond that all the remaining machines are maintained by these controllers just as azure is doing currently in data centers. Providing such a solution would allow companies to switch between azure in microsoft datacenter and 'mini azure' with their own servers relatively easier.